What Is an Appraisal Meeting? Performance appraisal is a management tool that employs formal and informal processes to evaluate the work performance of an individual in terms of training and development and the necessary measures to undertake for future improvement. This process is undertaken through a discussion between an employer or her representative and the employee. It is a vital exercise for improving the productivity of both the employee and the business. A supervisor, usually from the human resources department, is in charge of conducting the appraisal meeting. He should inform the employee about what the meeting entails to enable the employee to effectively prepare. For example, the employee might draft any questions he has concerning the meeting’s agenda. The appraiser and employee should schedule a suitable time for the appraisal meeting, where they will have sufficient time to discuss the employee's work performance with no distractions. An effective appraisal meeting should employ the two-way communication method in that both the manager and the employee meet at a level ground where there is free discussion and exchange of ideas concerning work activities; this presents a suitable environment where the employee does not feel overly intimidated by her superior. 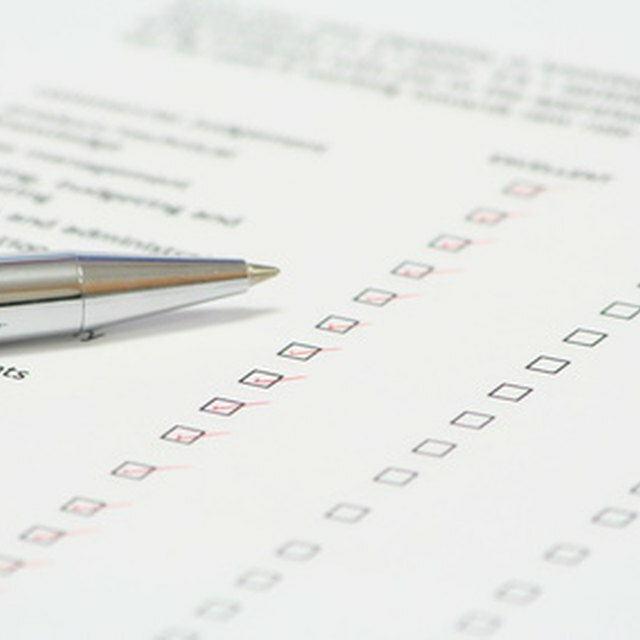 Prior to the meeting, the employee should fill out a self-appraisal form providing her opinion on the work environment and her general work performance, difficulties she may be facing that hinder maximum performance and any recommendations on possible changes the organization should consider, such as in employee training programs. The self-appraisal form filled by the employee sets the agenda for the informal meeting between the appraiser and employee to discuss the provisions of the document. The supervisor should keep the meeting professional and avoid querying the employee on personal issues. The meeting is an avenue where the supervisor and the employee openly discuss the provisions of the form, including the strengths and weakness presented in the performance of the employee, the possible causes and the employee’s future plans in relation to the business. The discussion should result in recommendations of possible improvements, which will foster the growth of the individual and the organization. The appraiser is in charge of drafting an employee-appraisal form after the completion of the meeting with the employee. The document describes the supervisor’s opinion of the employee's work performance based on the initial meeting and recommendations on changes in terms of the training and the work-development procedure for the individual. The appraiser finally meets with the employee to discuss the contents of the form, including the rating of the employee’s work and what areas she should address to improve her ratings and possible motivations on the part of the employee. The employee should sign the document and write down any comments or concerns she has resulting from the meeting.